WordPress 4.5.3 fixes bug, Carbonite reset password after cyber-attack and 154 Million voter records exposed. Security folks are always busy trying to protect our information from malicious users or criminal actors out there. Here's what's going for the last couple of days. Carbonite online backup service resets all users passwords after cyber attack. The company said the attacking third-party didn't compromise any user accounts, mainly because its IT staff caught the attack in its early stages. To make sure nothing was stolen from people's backups, Carbonite has initiated a service-wide password reset. 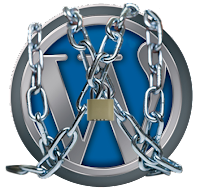 WordPress.org team announced a new version of the WordPress CMS one that includes fixes for eight security bugs and 17 maintenance issues. The most critical security flaw the project fixed is a bug that allowed attackers to change a user's password by leveraging stolen cookies. The WordPress security team's Michael Adams discovered this issue internally.